Schematic presentation of the liver position inside the human body. The liver is located in the right upper quadrant of the abdomen, just below the diaphragm. The liver contains a left and right lobe. 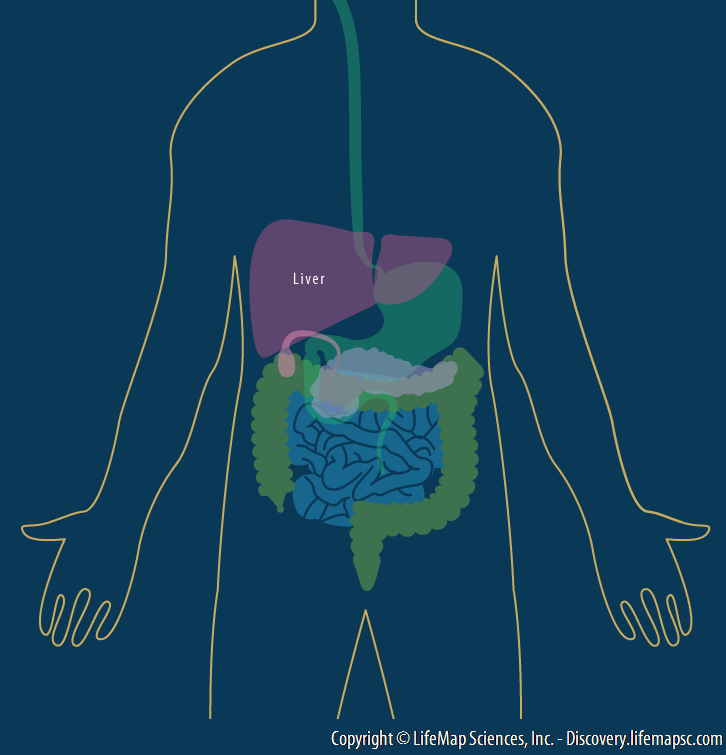 This organ plays a central role in metabolism and bears a number of functions in the body, including glycogen storage, decomposition of red blood cells, plasma protein synthesis, hormone production, and detoxification.